What makes a succesful season? 2017 was a dissappointment. Or was it? Maybe it was a step in the right direction, or maybe it was my best season so far. It is always a bit tricky to evaluate a season, but I think that this season is the trickiest yet. 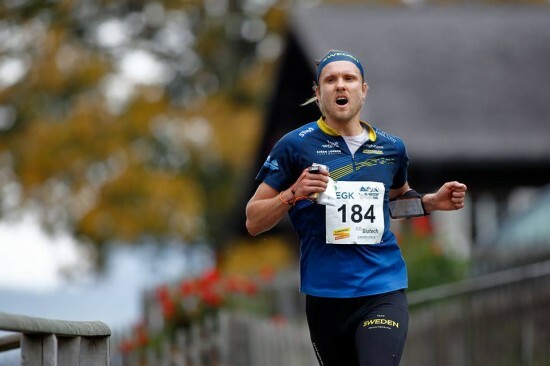 The winter training last year went well, really well, and I came into the season feeling stronger than ever. 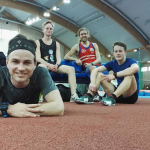 Unfortunatly I hit my toe against a root while on a training camp in Estonia with the national team in the end of March, and that continued to haunt me throughout the whole spring. I have had some problems with the metatarsophalangeal joints in my big toes before, and this time it got real bad. I could run a few times a week, but always with pain, and I struggled to get a good feeling when running. Towards the end of May my shape started to get better and better each week, but it felt like the whole spring season was more or less wasted because of my foot. Towards the World Champs I felt confident that my shape would be good, and it was. Definitly not my best shape ever, but considering the messy spring as good as I could hope for. It was a tough championship for me, especially mentally. 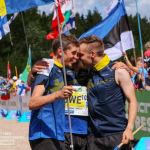 I was aiming to run both Sprint Relay, Long, Middle and Relay, but was only selected for the last two, which meant a lot of waiting and a lot of pressure on my one individual race. I have written about this before, so I won’t go into detail about it, but a short summary might be that I was too psyched, and couldn’t keep it together. After I cooled down a bit, I was fastest of all guys, and I kept that cool to the relay where I had the fastest split, and could secure a bronze medal for our team. A 6th place and a bronze medal isn’t bad at all, but I wanted more. But for the first time I felt that I had an individual gold medal within reach, if I had only kept it together all the way. Defintily a step in the right direction! After the World Champs I had a few easier weeks, before traveling to Poland for the World Games. Not the best week for me, but again I could easily have won a middle distance medal if I’d just kept my head cool. Something learned for the future (hopefully)! After being a little bit dissappointed with my spring and summer I was excited to show what I had in me during the autumn. It started well with a good World Cup round in Latvia (3rd and 6th individual, 3rd fastest at the relay), and I felt that my shape really was starting to peak. After a great race at Euromeeting, where I ran the public competition with the same course as the elite, I got a good point of reference that I was indeed fast (faster than ever?). Unfortunatly I came down with a cold shortly after that, and even though it didn’t last long I think that it really left it’s mark in me. During the whole autumn I struggled to run fast, and it wasn’t until late in October I started feeling normal again.